Slice the beets very thinly. They can used as is, or stacked a few at a time and cut into heart shapes with kitchen scissors. Then, in a medium bowl, whisk together the lemon juice, olive oil, and agave, until emulsified. Add the beets and toss to coat. Cover and let marinate for a few hours or even overnight in the fridge. When the beets are softened and ready to use. blend the remaining ingredients in a bullet type blender for several minutes until creamy. 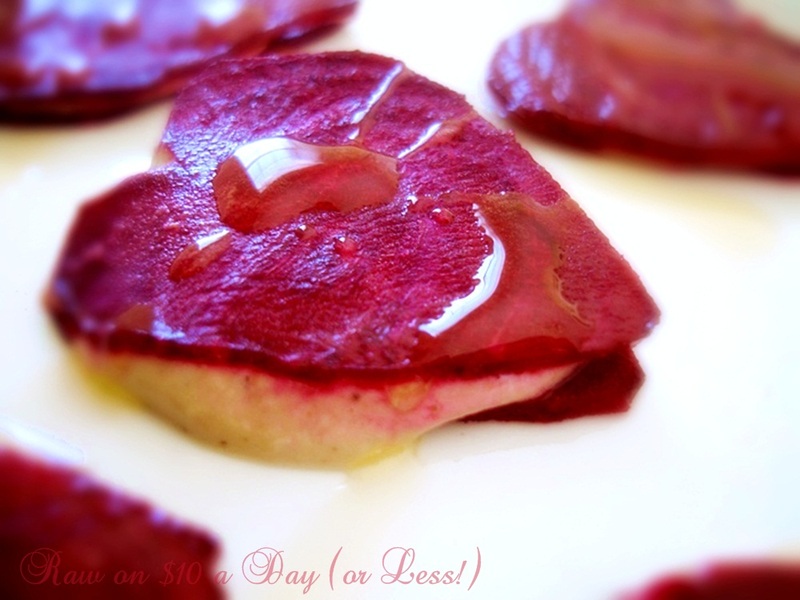 To assemble, lay one slice of beet down and place about a teaspoon of the cashew cream in the center. Top with another slice of beet and lightly press. Finally, add a small drizzle of olive oil (optional). 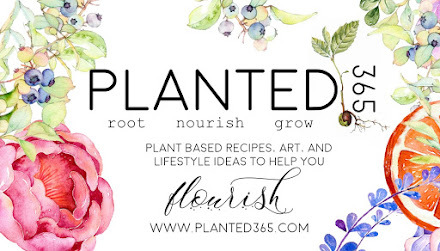 I am a huge fan of your website, and really want to thank you for all the great, easy and delicious recipes, as well as for the great pictures. One question that I have and would like your help with is on how you get the nutritional information. Could you let me know which website you use for that? Thanks a lot, and the best to you! Hi Themis! You're welcome and thanks! I use everydayhealth.com the most often for nutritional information. I try to keep track what I eat and so use it fairly often ... practically daily. Sometimes, I use caloriecount.com or the nutritional label if it's a packaged product. I'm having some minor security issues with my latest website and I would like to find something more secure. Do you have any recommendations?